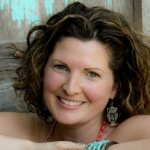 Leah Fletcher lives in Princeton, ON with her husband and children. 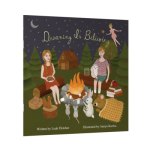 Her first book, Dreaming is Believing, was inspired by her children, reflecting their love and creative imaginations. With these poems, she hopes to encourage children to use their imaginations, as imagination is the greatest tool for exploring, creating, dreaming, and believing in all possibilities; it helps us to express who we truly are as individuals. Leah continues to use these tools to write, create, and dream.